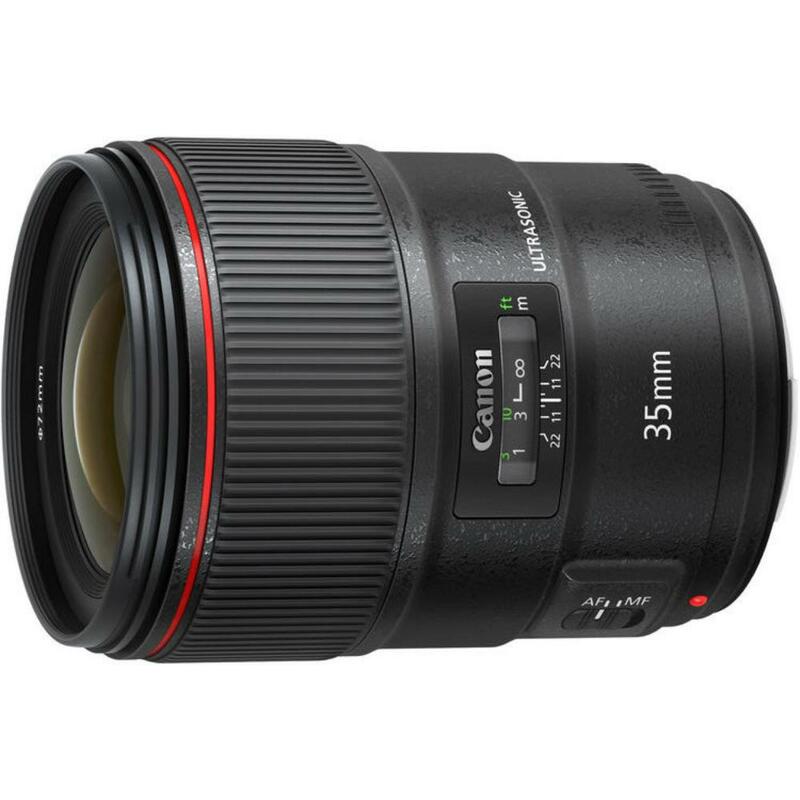 The Canon EF 35mm f/1.4L II USM Lens boasts increased optical performance over its predecessor, the Canon EF 35mm f/1.4L USM Lens . This lens is constructed with Blue Spectrum Refractive Optics, which refract shorter wavelengths of the visible spectrum (blue light) in order to significantly reduce chromatic aberrations and color fringing and also allow for better low-light results. This lens features a slighter better minimum focusing distance and maximum magnification for closeup subjects. It sports special coatings to reduce fingerprints and smearing while providing better dust and water sealing. 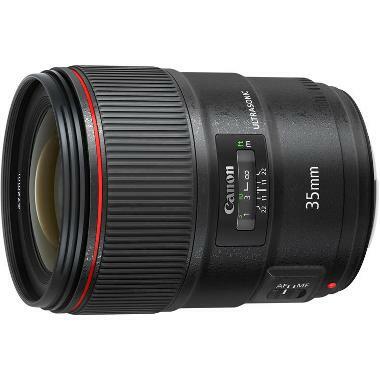 The Canon EF 35mm f/1.4L II USM Lens can be paired with both full frame sensor cameras, such as the Canon 5D Mark III, and with crop frame sensor cameras, such as the Canon 7D Mark II. The focal length equivalent on crop frame sensors is 56mm. This lens is built specifically with the quality and resolving power necessary for the latest high megapixel cameras, such as the Canon 5Ds and Canon 5Ds R.